Have you gone “number two” today? Yesterday? The day before that? In conventional medicine, the baseline requirement for regularity is three bowel movements a week, but a better indication of a truly healthy gut is going one to three times a day. Regular bowel movements are a key indication of a properly functioning digestive system, yet roughly 12 to 19 percent of the population of North America, as many as 63 million people, suffer from constipation, resulting in about $235 million in medical costs a year. For some, it’s an uncomfortable and even painful inconvenience; others accept a lack of regularity as “the norm” for their bodies, when in reality it is anything but. Our bodies are naturally very efficient machines, and when our systems are slowed down it can often be the cause or result of larger health problems. Our elimination system is built to remove the toxins and waste from our bodies. When you don’t eliminate regularly, these toxins are stuck sitting in your intestines, potentially being absorbed back into the bloodstream via a leaky gut. 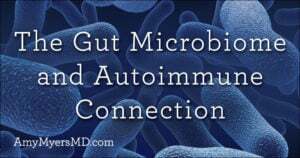 The waste in your intestines sits idle, producing bacteria that can disrupt the balance of healthy flora in your gut and lead to inflammation. Although constipation is pretty clear-cut to detect, it can be caused by many different factors. Here we’ll look at some of the most common causes and treatments for constipation. Dehydration – Like a toilet, our internal flushing system requires adequate water to function properly. Lack of Fiber – Dietary fiber isn’t digested by your body, but instead travels relatively intact through the stomach and intestines, absorbing water to add bulk to stool, and helping move waste through your system. Disruption of the Gut Flora – Your digestive system is home to a wealth of different types of good bacteria that help break down and absorb food and then eliminate waste. Many factors such as taking antibiotics or oral contraceptives, stress, or inflammation can disrupt the natural gut flora leading to yeast overgrowth, small intestinal bacterial overgrowth and leaky gut, all of which can cause constipation. Food Sensitivities – Constipation can be a common symptom of the general digestive mayhem related to food sensitivity as the body struggles to digest and eliminate foods that cause inflammation. Although food sensitivity can be caused by a wide range of foods, gluten and dairy are the most common culprits. Hypothyroidism and Hashimotos’s – Hypothyroidism, an underactive thyroid, slows down many of the body’s systems, including elimination. For your body to eliminate waste, your colon must contract, and slow or weak colon contractions can be a symptom of hypothyroidism. It’s estimated that 27 million American have an underactive thyroid and most have no idea that they do. I explain more about the reasons for that in this article. Autoimmune Disease – Autoimmune diseases are born when your body is working hard to defend itself against something potentially dangerous, such as an allergen, a toxin, an infection, or even a food, and it fails to differentiate between the intruder and parts of your own body. This causes your immune system to attack your own organs. 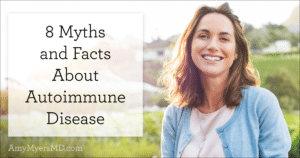 Autoimmune diseases can affect many different systems in your body; they include neurological conditions such as Multiple Sclerosis or Parkinson’s Disease, thyroid diseases such as Hashimoto’s, and multiple-system conditions such as Lupus. All of these diseases can cause constipation. Bowel Obstruction – A more acute cause of constipation can be an obstruction in the small or large intestine that prevents stool from moving through. Common causes of intestinal obstructions are scar tissue or adhesions caused by abdominal surgery, hernias, tumors, Crohn’s disease (which can narrow or twist the intestine), or even cancer. 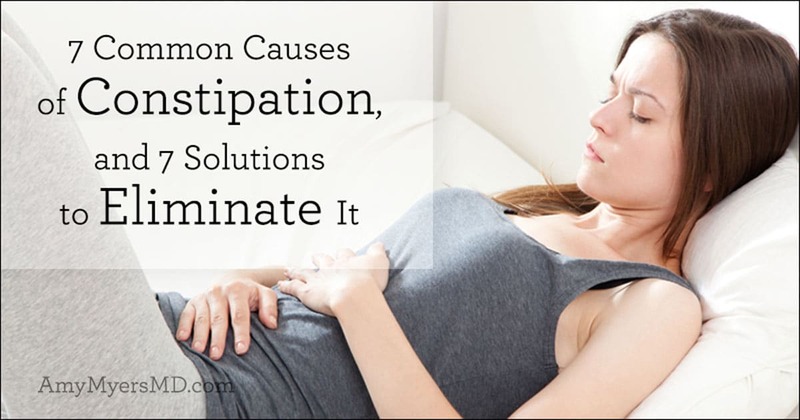 There are, of course, many other potential causes for constipation, such a not getting enough exercise, excessive stress, or regular painkillers use, so it is best to take a comprehensive view of your health and what factors might be contributing to your constipation. Once you understand what is causing your constipation you can properly treat it. Many people believe that the easiest and perhaps only way to relieve their constipation is to resort to laxatives, but these can be harsh on the body and are ultimately a short-term solution since they don’t address the true underlying cause of the constipation. To truly cure constipation, it’s key to identify the root cause and treat that along with the symptoms. Drink Plenty of Water – To keep your pipes flushing, make sure you drink enough water throughout the day. A good rule of thumb is to drink half of your body weight in ounces a day. This is especially important if you drink diuretics such as coffee or alcohol. Consume Enough Dietary Fiber – Eating foods rich in dietary fiber is a staple for supporting regularity, so be sure to reach for foods such as nuts, cauliflower, green beans, carrots, apples, citrus fruits, and other foods high in fiber. You can also take a fiber supplement to help support regularity. The one I carry in my store features glucomannan, and has an exceptional ability to absorb water and toxins. Avoid Inflammatory Foods – While you’re reaching for high-fiber foods, stay away from foods that are inflammatory, particularly gluten, dairy, corn, soy, and sugar. Since food sensitivity and inflammation triggers are unique to each person, I recommend The Myers Way® Elimination Diet to assist you in identifying your own food sensitivities. Start Taking Probiotics – If your gut balance has been disrupted, it’s key to restore the beneficial bacteria that helps maintain gut health. Taking probiotic supplements, such as bifidobacteria and lactobacillus species, will ensure that you have plenty of the good bacteria needed to support healthy bowel habits. Get Your Thyroid Tested – If you and your doctor suspect your constipation is caused by hypothyroidism, you should have your thyroid levels (including TSH, Free T4, Free T3, and Reverse T3) tested. If it turns out you need to optimize thyroid hormone production, you will likely want to adopt a thyroid support protocol including a high-quality multivitamin, a gluten-free diet, and potentially taking a prescription thyroid medication. I cover this in depth in my book, The Thyroid Connection. Get Tested for Autoimmune Disease – Having your MD test you for ANA, antinuclear antibodies, which are the type that typically attack your tissues instead of outside invaders, as well as more specific types of antibodies, such as thyroid antibodies, will help you uncover any underlying autoimmune conditions. Armed with this knowledge, you can halt and even reverse signs of autoimmune disease by eliminating toxic foods, introducing restorative ingredients, and identifying environmental toxins. You can learn more in my book, The Autoimmune Solution. Intestinal Scope – If you experience severe and constant belly pain with your constipation, you could be suffering from an intestinal obstruction and you should see a GI MD immediately. Your physician will perform a scope to identify the obstruction to determine next steps. While you are tackling the root cause of your imbalance, you can start to immediately support bowel function with a magnesium supplement, which plays a vital role in metabolic functions and supports healthy bowel movements by attracting water in the intestine. In my clinic, after ruling out all of the above cause for constipation I recommend my patients try Magnesium Citrate. Magnesium Citrate helps relax bowel spasms and is an osmotic laxative. Magnesium citrate is non addictive and generally very gentle. To determine the level of magnesium you need I recommend my patients starting with one 100mg capsule at night and increase by one pill a day up to a maximum of 1000 mg or 1 gram a day. I have them stay at the current dosage when they are having one to three firm but not hard, bowel movements. If they have loose stool, I have them back down to the level where they had firm bowel movements. You don’t need to simply accept constipation as a regular part of life. If you continue to deal with constipation, take an in-depth look at your diet, your environment, and your habits to uncover the real cause of your constipation and discover the right solution to get regular! You CAN Take Back Your Health! Are you ready to improve your health, regain your energy, and feel like yourself again? Whether you are looking to support healthy immune, gut, or thyroid function, I want you to know you CAN take back your health! In each book you’ll learn how to address the true underlying causes of your health concerns using simple yet proven dietary and lifestyle changes. Best of all, you’ll get step-by-step, four-week plans to put all of the principles into practice and truly make optimal health a way of life!